Intraday Liquidity Management reporting made possible – SWIFT enables. Correspondent banking has been under attack for several reasons. But the major use and value of correspondent banking – a relatively costly mechanism – is for the settlement of wholesale transactions by banks, particularly securities transactions, denominated in currencies in which they have no direct clearing memberships. are aimed at identifying the size and duration of these intraday risks. Payments and receipts are not generally reported on a real-time basis, and reconciliation has usually been end of day or multiple times intraday. The SWIFT FIN MT9XX messages which are widely used to report cash events and statements to the correspondent user are not consistently used. There has been considerable controversy about this. The paper published in June 2015, entitled “Implementation Challenges, Outstanding Issues and Recommendations – Regarding the Basel Committee Monitoring Tools for Intraday Liquidity Management” represents the combined opinions of BAFT (the Bankers Association for Finance and Trade in the US), IIF (the International Institute of Finance) and The Clearing House (New York Clearing House – which runs CHIPS, amongst others.) It is the final item in a series of papers between these bodies and the BIS, protesting the difficulty of achieving BCBS 248 compliance. Thus, the September 2015 publication of a set of working standards by a Payments Market Practice Group (PMPG) offers a timely solution. The title “GLOBAL MARKET PRACTICE GUIDELINES FOR INTRADAY LIQUIDITY REPORTING MESSAGING from the Liquidity Implementation Task Force” says it all. PMPG is driven by a cross-section of bankers of all sizes and all geographies, working under the sponsorship of SWIFT. BCBS 248 is expected to be complied with by January 2017. This piece of work assumes that SWIFT FIN MTs provide the basis for the processing of all correspondent banking payments and receipts. It provides a syntax or protocol for using all of the message types required. Thus the elusive data, specifically the settlement timestamp, is all provided within standard SWIFT MT9XX messages. Note that the relevant conventions for ISO20022 equivalents are only partially provided, as they are not yet widely used in correspondent banking. Clearly, this is but one step on the way to BCBS 248 compliance, but a very welcome and significant one. And correspondent service users will need to ensure that their correspondents are going to offer enhanced cash management services and improve their processing and reconciliation processes in order to gain the necessary benefit and to derive the relevant data on a timely basis. By contrast, the reporting of intraday usage of liquidity by correspondent banking suppliers and users – once these conventions are applied – ought to be relatively straightforward. The long journey to compliance with the key and difficult BCBS 248 requirements, just got an end-date which was possible and acceptable to regulators. 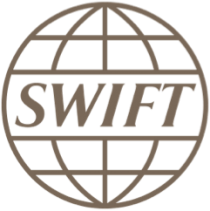 SWIFT has again played its market role. And it will make the accurate modelling and reporting of intraday liquidity flows for most, if not all currencies for a bank possible. (It is the accurate settlement time stamp which makes the real difference.) So, as we have been able, with the Intraday Liquidity Simulator, to model currency flows, in which the bank is a direct member of the currency’s high value clearing, so the intraday flows for currencies for which the technique of correspondent banking is used, can be accurately modelled and stress-tested. We recommend a top-slicing approach, as both correspondent and direct clearing flows include many low value transactions, which make no difference to the intraday liquidity usage pattern.